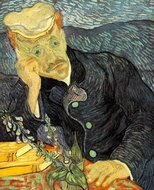 Famous Van Gogh self-portrait depicting his mental state after a brutal argument with painter Paul Gauguin, after which he cut off his right lobe. He is seen smoking a pipe with a bandaged ear. Vincent Van Gogh undoubtedly remains Holland’s most celebrated Dutch painter, and we pride ourselves on creating and sourcing some of the most genuine reproductions of his stunning work. from Holland and the rest of the world who have mastered Van Gogh’s style and techniques of colour mixing, brush strokes, and rhythm of application. Now you can celebrate the jewels of art and culture, and infuse a breath of fresh life into your living quarters with these beautiful works of art that look and feel like the original paintings. 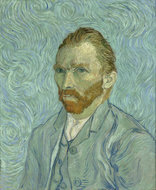 Vincent Van Gogh took to portrait painting not just as a means to earn a living, but he also believed it will help him to further develop his artistry. Since Van Gogh could not afford to hire models to pose for him, he chose to draw his own portraits to hone his skills and polish his craft. He believed that if he could capture his own essence in a portrait, he could easily draw portraits of other people. 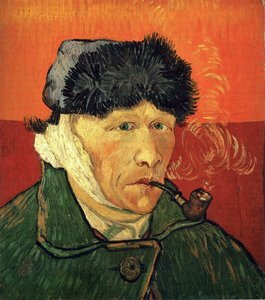 Van Gogh’s ‘Self-Portrait with Bandaged Ear and Pipe’ is one of his most popular works which he dedicated to his friend, painter Paul Gauguin. Completed just a few weeks after his spat with Gauguin, after which he cut off his ear lobe, the painting captures the depth of his emotions that is visible in every brush stroke. In this painting, Van Gogh can be seen sitting in the Yellow House, wearing a green overcoat, fur winter cap and smoking a pipe. His right ear is heavily bandaged to cover the self-inflicted wound. It is believed that in reality, it was his left ear that was wounded and the disparity occurred since he drew this picture while looking at himself in a mirror. 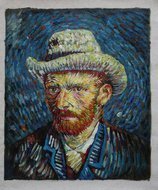 Philip Niarchos was suspected as being the anonymous buyer of Vincent van Gogh's "Self-Portrait", at a November 1998 Christie's auction; it sold for $71.5 million. is part of the Niarchos Collection. Philip Niarchos is a Greek billionaire, who owns his late father's art collection. Niarchos has made plenty of additions to his father's legacy. 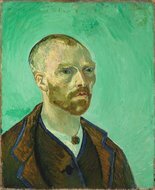 He was suspected as being the anonymous buyer of Vincent van Gogh's "Self-Portrait", at a November 1998 Christie's auction; it sold for $71.5 million.